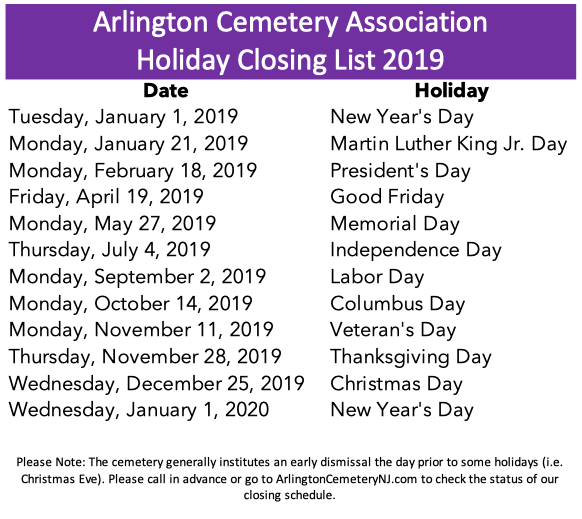 Check our Holiday List for Closing Dates. We close early for inclement weather, or may close completely due to safety issues regarding weather. The cemetery only accepts payment for funerals with a check from the funeral home, cashier's check, postal money order. We do not accept personal checks or cash.